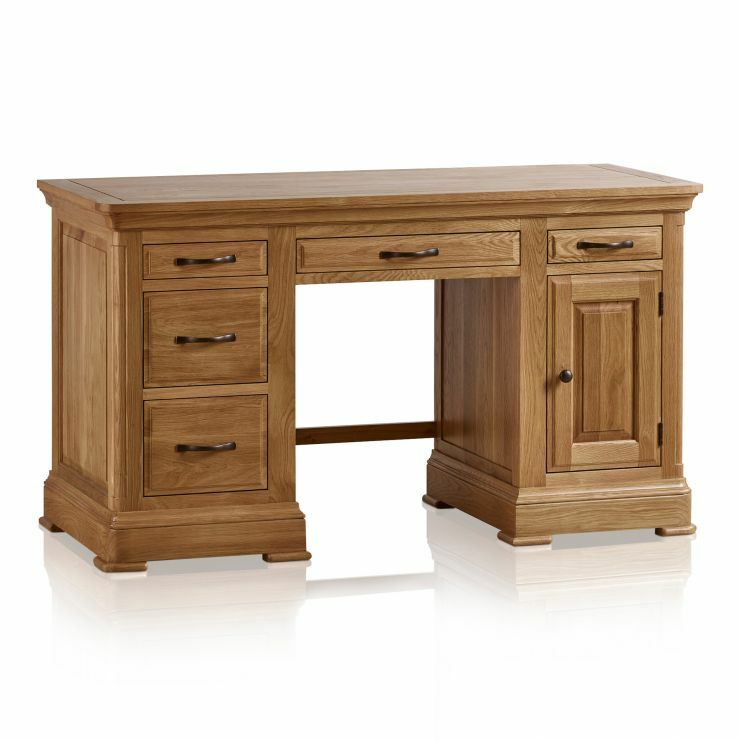 Perfect for creating an organised home office, our Canterbury computer desk is designed with modern working in mind. 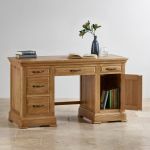 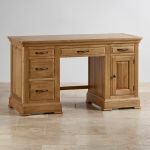 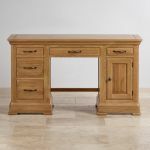 With both drawer and cupboard storage, handy exit holes for cable management, and a special compartment to tidy your keyboard and mouse, this desk packs a punch, and is made from high quality solid oak. 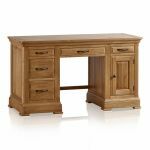 It blends contemporary style, with its bright natural oak finish, with traditional furniture design elements to create a statement piece. 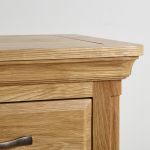 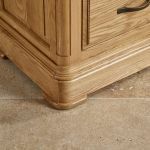 The desk's top has classically flared cornices and cut detailing, and the base is on a deep pedestal. The drawers and handles are finished with dark antiqued metal hardware to complete the workplace feel.